Former Moto3 star Arthur Sissis is back on a bike and aiming for the top — in speedway. 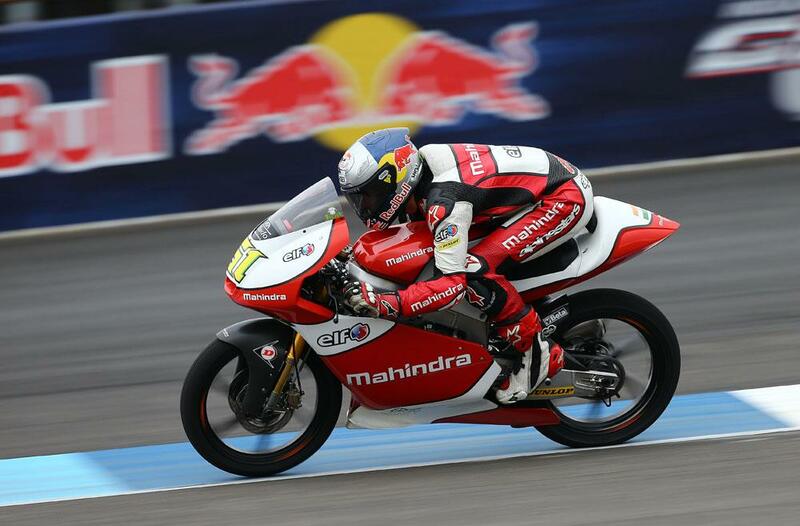 The 19-year-old former Red Bull Rookies starlet was ditched by Mahindra Racing this summer after a string of poor results and moved back from his base in Spain to Australia. But Sissis has now been snapped up the speedway's Premier League side Sheffield Tigers and the Adelaide ace says he can't wait to return to the shale with the intention of proving that he can still cut the racing mustard. Sissis said: “I can't wait, I've been looking forward to getting back into it for a while now. "I'm a little bit nervous but I'm more excited than anything. It's been quite a long time since I raced speedway but hopefully it won't take long to get into the swing of things. When I was at Mahindra, people started to feel that maybe I wasn't good anymore — so that's the main thing for me now, to show them that I'm actually alright as a racer! I did a few years road racing and feel it isn't for me. Speedway is more exciting, people think I'm crazy but I've made my decision now and for me that's how it is. I did a lot of speedway before road racing and won a few Aussie junior titles but going to Britain and riding with some of the big guys will be a bit different. I'm really happy to get back into it. I had a few rides at the start of the year and really missed it and knew I had to start doing it again. Now I want to be consistent and learn as much as I can. I want to try to put a good show for the fans and hopefully in the end we can win something. I know a few guys there now, I rode there after a meeting in 2009 and really like the track, it's definitely one of the better ones in UK, so it should be a fun year!" Tigers say they've pulled off one of the coups of the year by luring Sissis to Owlerton. Club boss Damien Bates said: "We've known about Arthur for a while and when he left Grand Prix racing and indicated that he wanted to do speedway again, then we moved quickly. He was disappointed to lose his place in the Mahindra team last year but that's fuelled his determination to do really well in speedway. He can do some amazing things on a speedway bike and I don't think I've ever been more excited to see a rider join Sheffield, either as a fan or promoter. He's a level-headed lad, has plenty of experience racing in Europe in the GPs and he really wants to do well. He's very professional in every aspect. I think speedway's in his blood and GP racing's loss could be our gain." Sissis will join his new teammates next spring, ahead of the season launch in March.